What is whole life discipleship? The latest important information for incumbents received at the Diocesan Offices. As of March 2019, this page is still in development. It won't feature every key update at this stage, but it is live now to help with evaluation. Updates appear in month order (most recent month first). All material archived annually. Clergy Walking Days. Information about the next Clergy Walking Day from Pillar to Wasdale in the company of Archdeacon Mark and Bishop Philip. Book your place soon. Safeguarding and parish websites. All parishes are now required to make their local safeguarding arrangements clearly accessible via the home page of their parish website. Click the link for more details. Circles of Impact: Funerals, bereavement and communities. 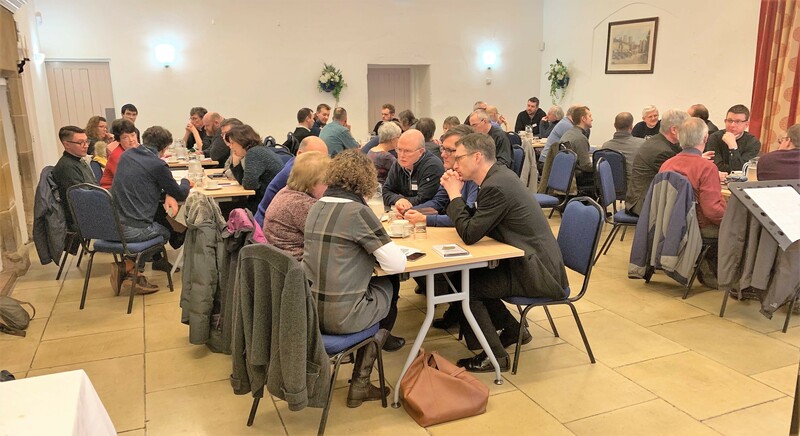 CofE conference on site at the National Funerals Exhibition, Warwickshire, June 7/8, 2019. Clergy can apply under CME, or PCCs may wish to fund. Bursary awards for clergy. Ecclesiastical Insurance has opened its popular Ministry Bursary Awards (MBAs) to applications for 2020 clergy sabbaticals. Click the link to go to more information on Ecclesiastical website. Parish Safeguarding Checklist is a short summary of the what a parish needs to do to meet its safeguarding requirements. And this page of the Diocesan website has a full Parish Safeguarding Toolkit. Walker Office Park, Blackburn BB1 2QE.